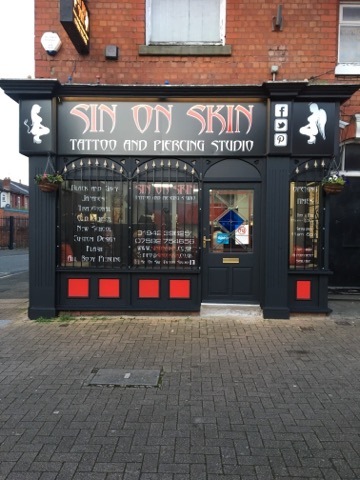 Welcome to Sin on Skin Tattoo & Piercing Studio. Sin on Skin has a reputation for having a warm, friendly and welcoming studio, with of course, high quality tattoos. We are the longest established studio in the Leigh area! Our opening times, map location and telephone numbers can be found on our Contact Us page. 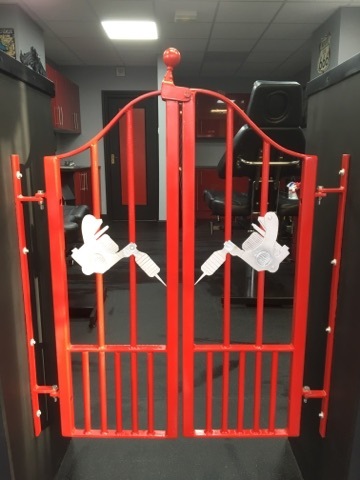 So whether you are getting tattooed, pierced, or having semi-permanent makeup, your visit with us will be relaxed, enjoyable and more importantly, a professional experience! We have added a new App... details and download instructions can be found here. Alternatively, visit our blog page here. BIG thanks to all of our customers, new and old, for their continued support and business, without which, none of this would be possible. 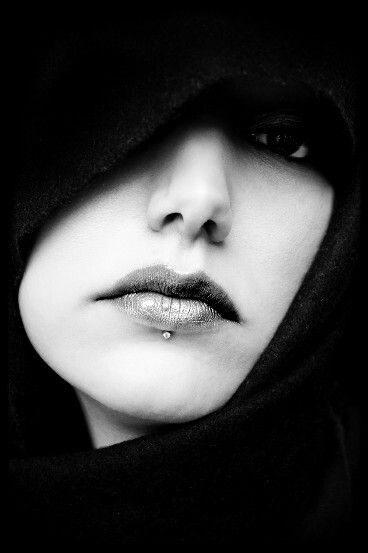 Sin on Skin is NOT associated with ANY other studio's ANYWHERE!